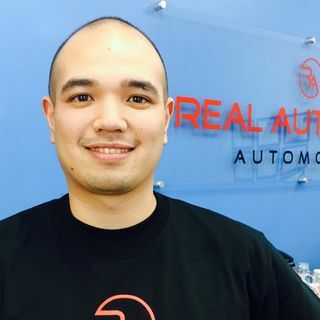 Tristan Realubit, AAM owns Real Autohaus Automotive in Westmont. IL. He has had his share of challenges that for many, would have thrown in the towel years ago. Armed with powerful advice from his mother he continued his quest to be a shop owner even though he didn’t understand the business side of the business. As luck would have it he found AMI On-Line and then bought a Mitch Schneider book. Those two forces put Tristan on the right path. He has plans to add his second location now that he ... See More has retired the debt that mounted as he learned the business.